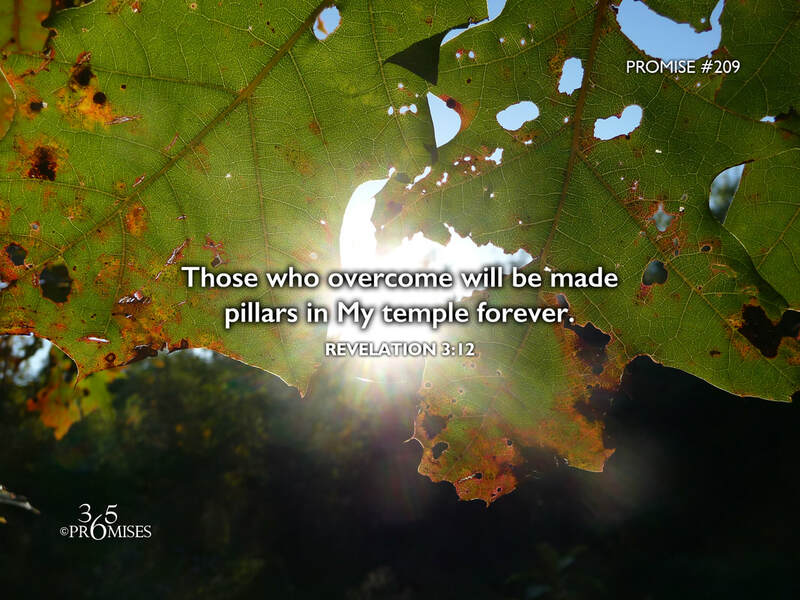 Those who overcome will be made pillars in My temple forever. He who overcomes, I will make him a pillar in the temple of my God, and he will go out from there no more. I will write on him the name of my God, and the name of the city of my God, the new Jerusalem, which comes down out of heaven from my God, and my own new name. When the pressures of life are too much. When the worries of an uncertain future cloud our thought life. When we are discouraged with the circumstances around us. No matter what situation you find yourself in today, take a moment, and think about eternity. In today's Scripture, Jesus Himself, promises that He is going to make us as pillars in the temple of His God forever and write on each one of us a new name! When all around us begins to shake, be encouraged that God is giving us a kingdom that cannot be shaken. One day, all those who belong to Jesus will stand firm forever in the city of our God, the New Jerusalem!